In 2014 Cape Classic is celebrating a special birthday: its tenth anniversary! The festival is starting in Cape Town on 12 February and will end in Swellendam on 22 February. Enthusiasm for South Africa and a love for classical music have been the main motivations for Gabi Zahn’s vision to create Cape Classic, a festival which supports charitable projects of the Cape region through “The Magic of Music”. In the eighties Gabi Zahn lived in South Africa for four years with her husband and her four children. In Germany, where she lives now, she worked as a journalist specialising in cultural affairs, mainly classical music, where she wrote reviews of concerts and interviewed famous artists. Currently, she spends all her time on the organisation of Cape Classic. Should you wish to book a room with a ticket to the concert on SATURDAY 22 FEBRUARY, 6.30 PM for 7.00 PM – please let us know as soon as you can! Swellendam is lucky to be included in this series of concerts and the quality of the performances is incredible. It is an event like few others. HERE IS THE PROGRAMME FOR THE 2014 CONCERT SERIES. Please arrive half an hour prior the concert starts! Frauenliebe und -leben (A Woman’s Love and Life) is a cycle of poems by Adelbert von Chamisso, written in 1830. They describe, from her point of view, the course of a woman’s love for her man, from first meeting, through marriage, to his death and thereafter. Schumann wrote his setting in 1840, a year in which he wrote so many lieder that it is known as his “year of song”. Schumann’s choice of text was probably partially inspired by events in his personal life. He had been courting Clara Wieck, but had failed to get her father’s permission for them to marry. In 1840, after a legal battle to make such permission unnecessary, they were finally married. The songs in this cycle are notable due to the fact that the piano has a remarkable independence from the voice. Breaking away from the Schubert ideal, Schumann allows the piano contain the mood of the song in its totality. The Italian mezzo-soprano Cecilia Bartoli specialises in the works of Mozart and oeuvres of the Baroque era. So we do in this concert! “Giulio Cesare in Egitto” is considered by many to be Händel’s finest Italian opera, possibly even the best in the history of the ‘opera seria’. Unlike most other Italian operas, Giulio Cesare opens with a French-type overture. This opera is admired for its superb vocal writing, its dramatic impact, and its deft orchestral arrangements. “Ridente la calma” (KV 152) has always been considered to be a composition by Mozart, but according to the latest research, it might be ‘only’’Mozart’s arrangement of a piece by the Czech composer Josef Mysliveçek. Nevertheless, this song is a wonderful light, calm and untroubled cantilena of Italian elegance and delicacy, which reflects on the peace of mind of a lover. The Violin Sonata No. 1 in G major (Op. 78) for violin and piano was composed by Johannes Brahms during the summers of 1878 and 1879 in Pörtschach on Wörthersee. Each of the three movements of this sonata shares common motifs or themes from the ‘Leitmotiv’ of Brahms’s two songs, “Regenlied” and “Nachklang”, which explains why this sonata is also called the “Rain Sonata”(Regen-Sonate). The dotted rhythm motif from the two songs is not only repeated as the main theme in the third movement, but also continually reappears as an intermittent rhythmic motif throughout all three movements, so that the entire sonata has cohesion. Haydn’s quartet (opus 33) has a variety of titles; “The Russian Quartets”, because they are dedicated to Grand Duke Paul of Russia and “Gli Scherzi”, as, in these compositions, Haydn replaces all minuets with lively scherzi. The third part of this opus has an additional nickname; the “Vogelquartett”. As frequently, it is the beginning of the composition which inspired audiences and publishers. Over a pulsing C Major tone, the first violin starts with the call of abird. Because of its intimate nature, chamber music has been described as “the music of friends”. We are looking forward to welcoming our Cape Classic friends to a delightful Sunday morning at Allée Bleue! The term ‘Schubertiade’ describes a particular form of socialising during Schubert’s lifetime. After 1821, this expression became popular amongst his friends, describing the evenings in which they met to perform and enjoy his music. For the first time since Cape Classic was founded, we are able to offer you a concert in the Castle of Good Hope. All our Cape Classic friends are invited to enjoy a musical and culinary menu in the ‘Lady Anne Banqueting Room’. Amongst other masterpieces, they will have the unique chance to listen to famous Schubert songs, arranged for strings, just for this concert. Let us meet in the Castle for a modern day ‘Schubertiade’. In 1823, having read the poems of his contemporary Wilhelm Müller, Schubert became very enthusiastic about the lyrics. He immediately started composing and, already by the next morning, had finalised the first few songs of his cycle “Die Schöne Müllerin” (The Fair Maid of the Mill). The wandering of the young miller along the stream, the finding of his true love, the apparent fulfilment of this love, happiness, illusion, disappointment, the loss of his first great love and his tragic demise. All these impressions are conveyed in this cycle of songs, written by the romantic Franz Schubert. Una deliziosa Serata combines the elegant magnificence of the residence of the Italian Ambassador with highlights of Italian music and Italian delicaces after the concert. Cape Classic presents classical compositions, including popular arias from Donizetti’s “Don Pasquale” and rarities, such as a quartet for flute by Rossini, as well as variations on a Rossini theme, written by Fréderic Chopin. The final concert of Cape Classic’s first decade returns to Swellendam, where the festival began. 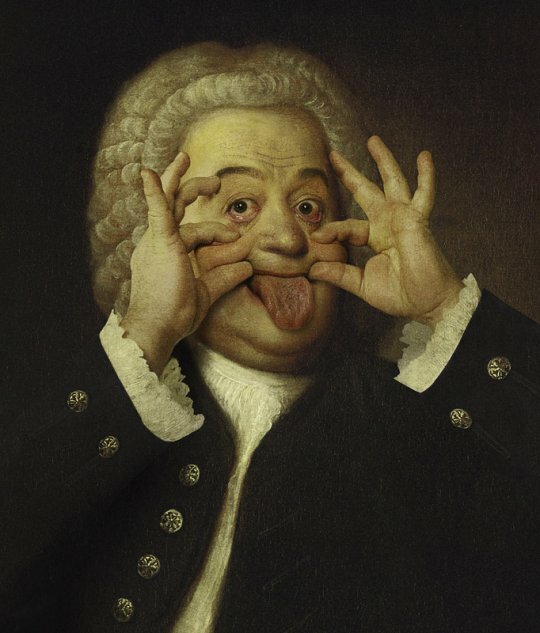 Amongst famous compositions from Händel and Mozart, such as his quintet for flute and strings (KV 414), we would like to step back and give thanks for ten years of wonderful music by performing works by Johann Sebastian Bach, mainly his cantata “Praise the Lord, the Mighty King of Honour” (BWV 137), a cantata of praise and thanksgiving. Nearly 300 years after Bach composed his chorale cantatas in Leipzig, between the first Sunday after Trinity and Palm Sunday of 1724, we will celebrate our anniversary in the Swellendam Moederkerk with this cantata.